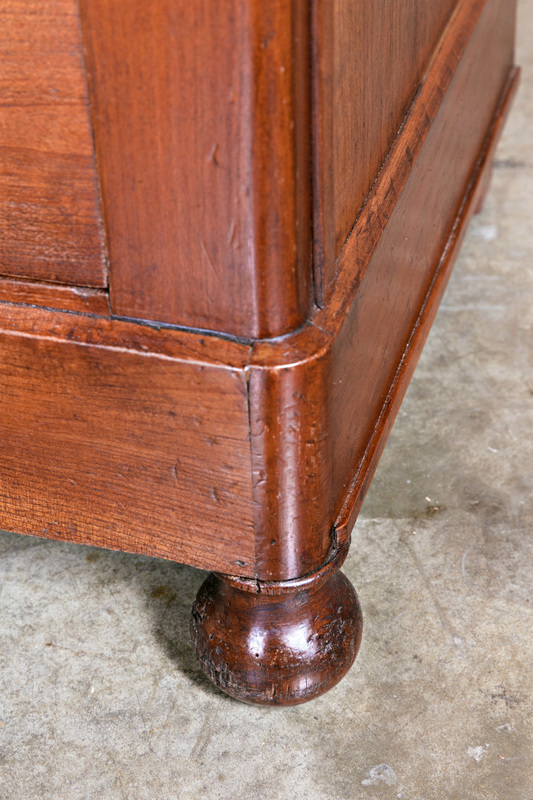 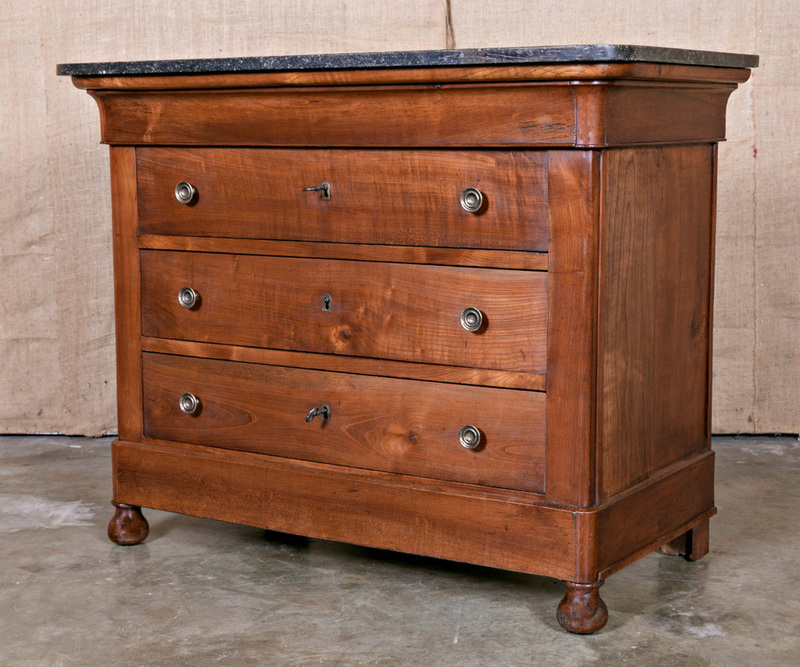 Wonderfully patinaed 19th century commode handcrafted of solid cherrywood during the French Restauration period (transition era from the First Empire of Napoleon and his replacement by Louis XVIII, who ruled as King of France from 1814 to 1824 except for a period in 1815 known as the hundred days, the return of Napoleon). 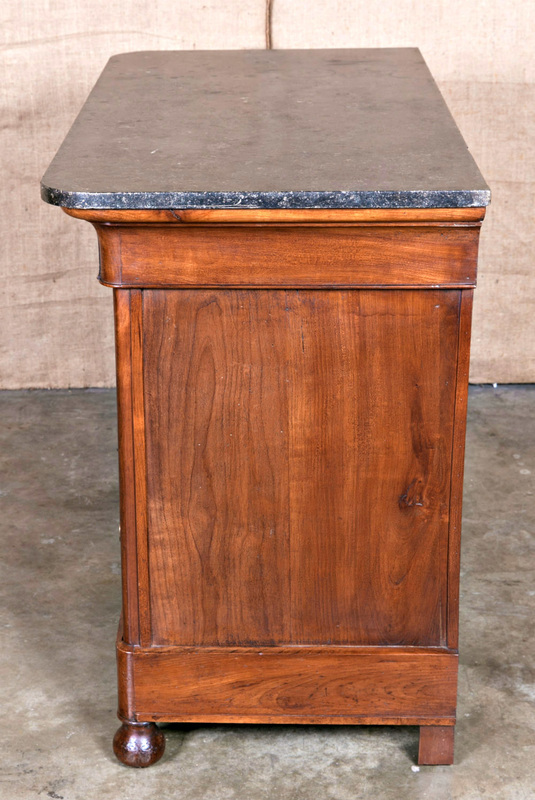 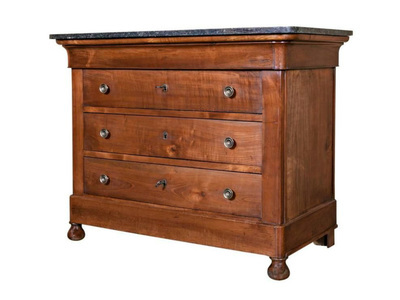 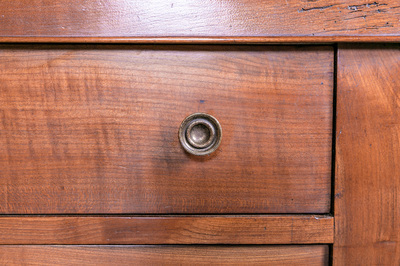 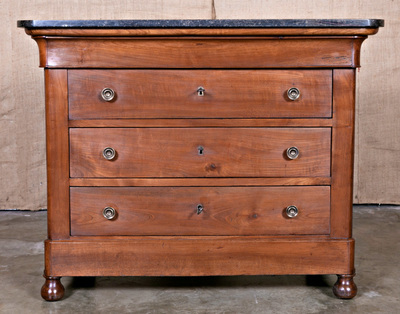 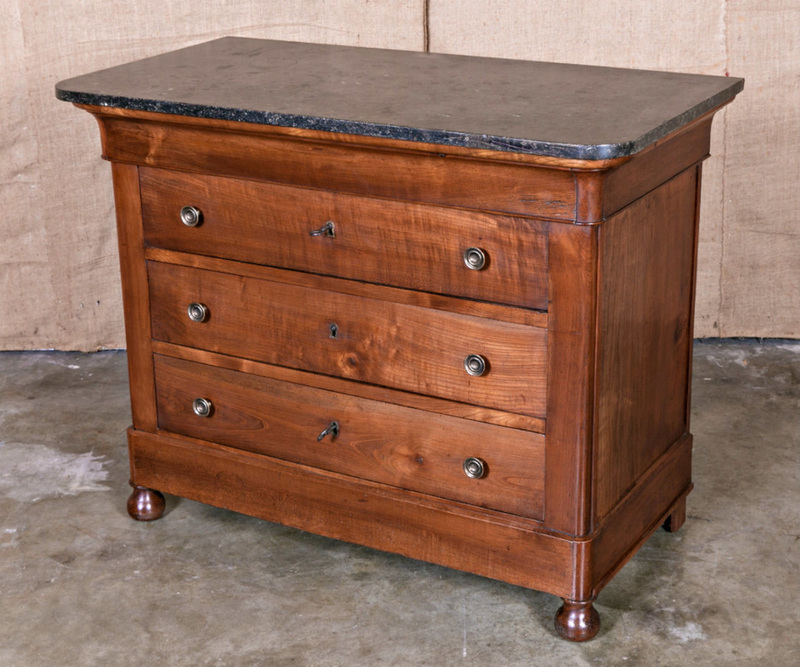 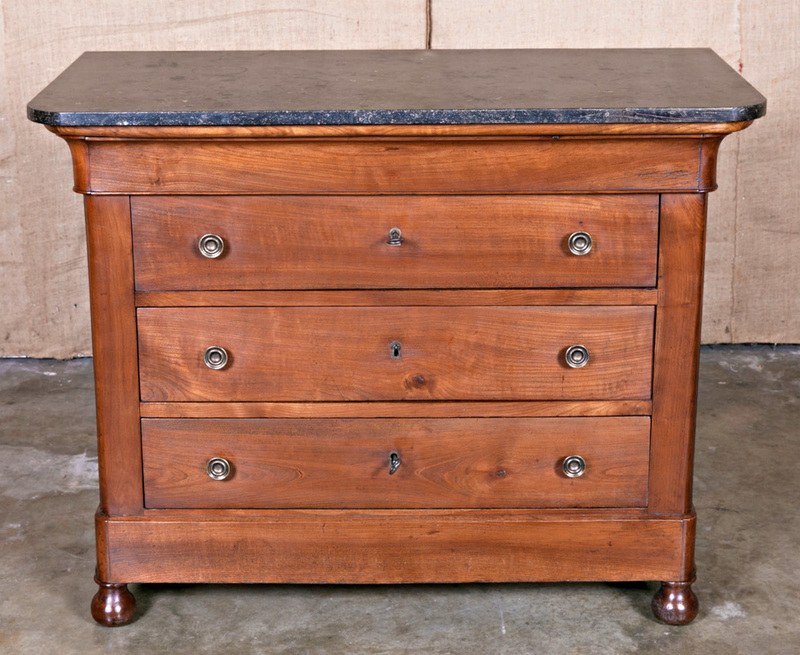 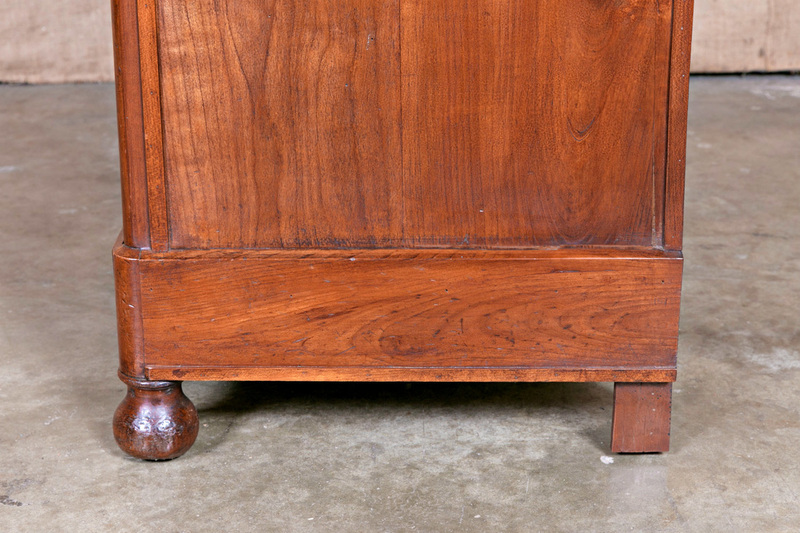 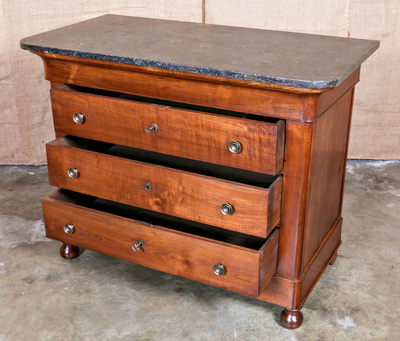 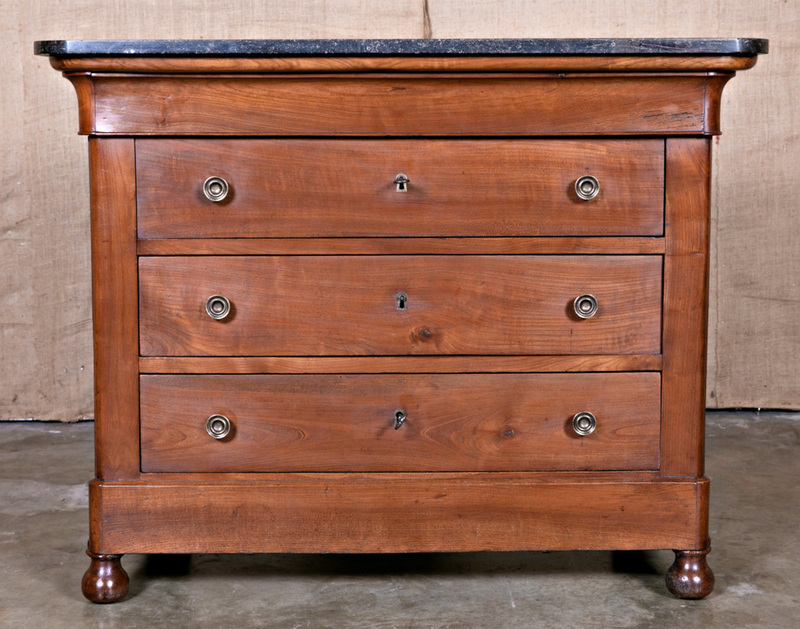 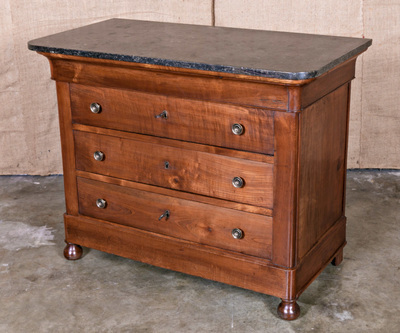 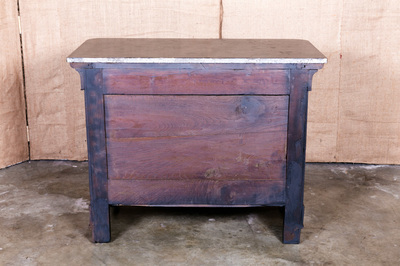 This handsome piece is topped with its original gris de Saint Anne marble top, sitting upon an elegantly simple facade featuring a total of three drawers, offering spacious storage. 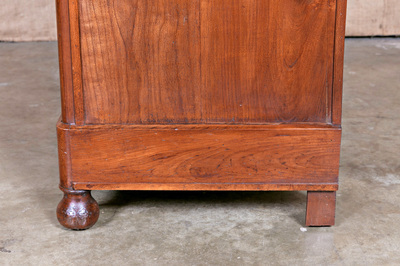 Rests on four short feet, the two in front having a baluster shape. 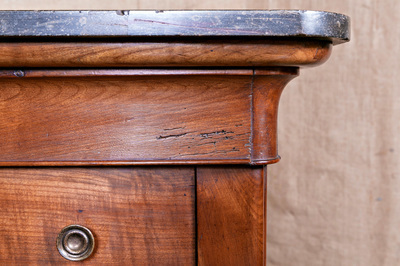 Circa 1820s.